When the world around you is falling apart because of civil war and you’re forced to flee your home and even leave your country, how do you stay in touch with family and friends who are doing the same? To find out, researchers traveled to the Za’atari refugee camp in Jordan. 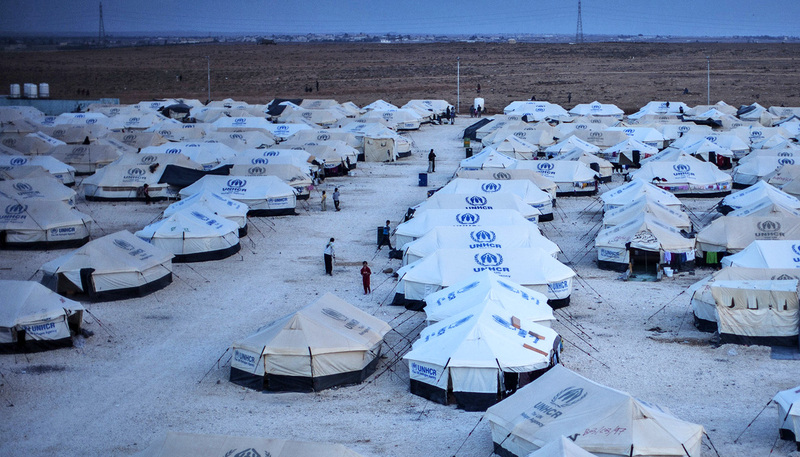 Situated just south of Jordan’s northwestern border with Syria, the camp opened in 2012 to host civilians fleeing the violence of the Syrian civil war. 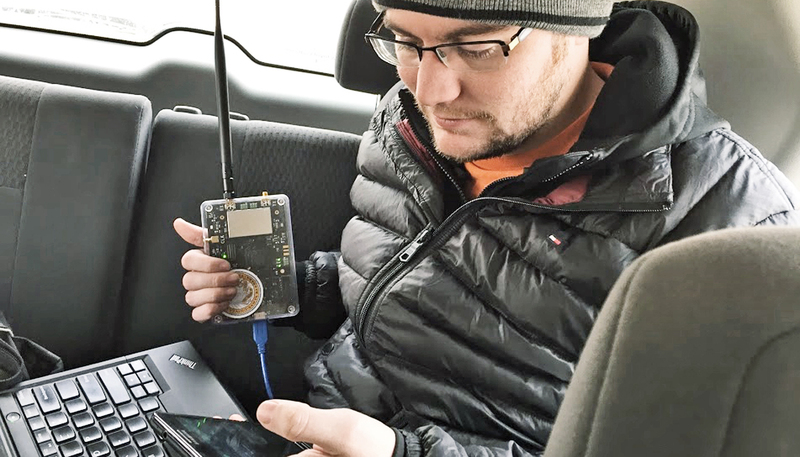 They wanted to assess the cellular and internet coverage in and around the borderland encampment and investigate where and how cellular infrastructure can be improved for the hundreds of thousands of people who live there. “People have left loved ones behind and they want to stay in contact,” says Elizabeth Belding, professor of computer science at University of California, Santa Barbara, of the people for whom a sporadic wireless signal is the only connection to loved ones far away. The refugees, many of whom were middle- and upper-class residents in Syria and are accustomed to the benefits of modern technology, view cellular and internet connectivity as a lifeline to their home country, Belding says. In an effort to help maintain communications with others fleeing the civil war, United Nations workers handed out SIM cards to incoming refugees. However, mostly due to the rapid rise of the camp’s population and also to the lack of adequate infrastructure for the desert site, the existing coverage—provided by an amalgamation of several Jordanian telecommunications companies in addition to some signal from Syria leaking over the border—quickly became insufficient for the massive influx of people. Researchers are now investigating how best to maintain the all-too-important lines of communication for the displaced families of the Za’atari camp. The project is an extension of earlier work on the technology needs of displaced people conducted by Belding and Carleen Maitland, information sciences and technology professor at Penn State. The new research involved an on-the-ground assessment of existing Internet usage and a technical evaluation of wireless coverage. “We had about eight cellphones and we were connected to every carrier in Jordan on both 2G and 3G networks,” says doctoral student Danny Iland, who walked around the camp, noting where a signal existed and where it fell away. Iland and doctoral student Paul Schmitt also performed spectral scans to identify nearby cell towers that provided service in the camp. This more detailed study was part of an evaluation of how people used the cellular infrastructure: Was cellular coverage prevalent enough for people to stay in their homes, or did they have to go somewhere to find it? When were peak usage times? What were the differences in signal strength by carrier? What they found was no surprise, especially for a population that established itself virtually overnight in a remote, mostly uninhabited area: cellular infrastructure that struggled to offer service to users who want to make calls, send text messages, and use the internet. Attempts to use the cellular services of the country’s largest provider were rejected at a rate of 33.7 percent. “The people there primarily had smartphones, and the networks were failing in a way we had never seen before,” Schmitt says. The rapid pace of growth and urbanization of the camp, which peaked at roughly 200,000 inhabitants in 2014, complete with impromptu stores and shops, as residents, still longing for home, make the best of a bad situation further complicates the matter. 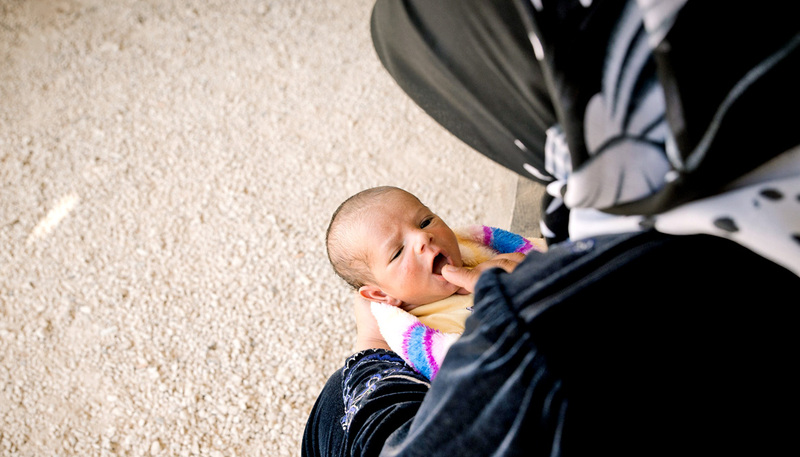 The population of the Za’atari camp, which is disproportionately young, has ebbed in recent months. However, the decline is due to the opening of another camp, or to people moving just outside the camp, so inadequate signal and overloaded lines of communication continue to be a problem. “One characteristic of refugee camps is that they tend to pop up in places where there’s minimal or no pre-existing infrastructure,” Belding says. Another factor in the Za’atari signal puzzle is the confusion and discomfort among some residents who are required to use wireless services from another country’s providers when home is just across the border. To call home using the Jordanian providers would incur international calling charges at a time when people do not have access to their money. Researchers say extending the signal from Syria to the camp and increasing the quality of high-speed cellular signal in particular, given the predominant use of smartphones in the camp, would alleviate the problem to some extent. The researchers are planning to submit a paper about their findings and recommendations, and there are efforts to make further assessments or implement projects to improve connectivity within the camp. The National Science Foundation sponsored the work.